ENGINEERS INDIA LIMITED, a Navratna Public Sector Company is India’s leading Total Solutions Engineering Consultancy organization executing projects on Conventional & Lump-Sum Turnkey basis. 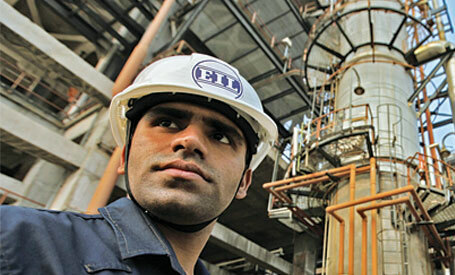 Through last five decades of dedicated service to the nation, EIL has executed some of India’s major projects in the refineries, petrochemicals, pipelines, offshore, metallurgy, infrastructure & fertilizer sectors. It has now embarked upon an expansion plan into sunrise sectors such as Nuclear, Solar, Water & Waste Management and is increasing its presence in over 13 countries world-wide. EIL invites bright, young, energetic and ambitious Engineering Graduates and Post Graduates in HR discipline to join its team of world class professionals as Management Trainees. Previous PostRequirement of 161 Trainee Cabin crew Persons in Air IndiaNext PostRecruitment of Young Media Professionals in the UIDAI.